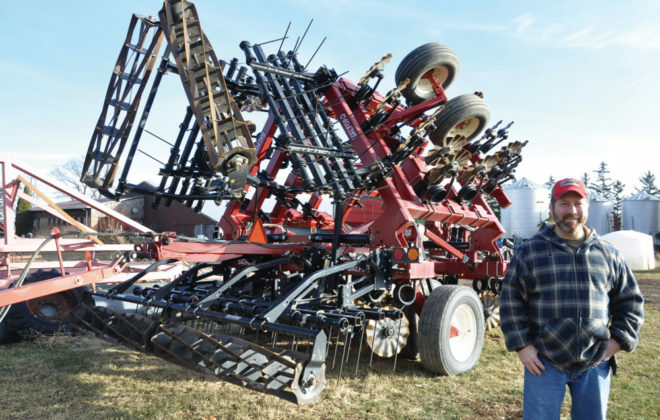 Preventing soil compaction is something farmers should keep in mind, particularly with the scale of modern farm equipment. 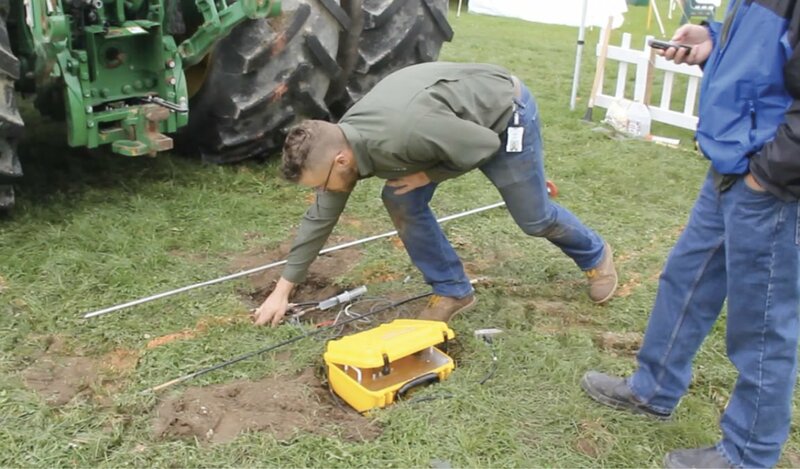 At Canada’s Outdoor Farm Show in Woodstock, Ont., Alex Barrie, engineer in training with the Ontario Environmental Management Branch, demonstrated his group’s efforts to study the impact equipment can have on the soil. 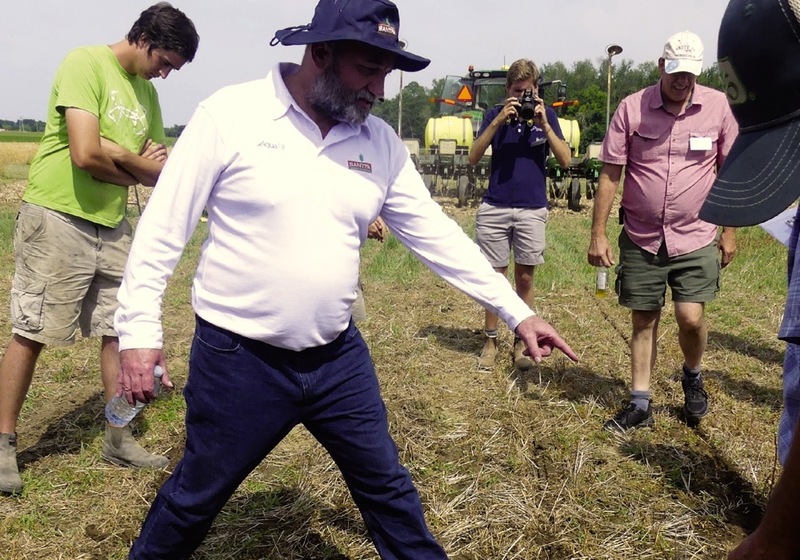 They have been conducting tests in many areas with different soil types to try and come up with data farmers can use when setting tire pressures for fieldwork. 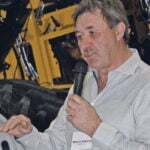 Barrie said all the data should provide a better understanding of “what goes into causing compaction from vehicles.” His display at the show was meant to highlight the fact that even big tires can cause damage if inflation pressures are set too high. 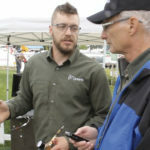 Engineer in training Alex Barrie talks with machinery editor Scott Garvey during Canada’s Outdoor Farm Show in Woodstock, Ontario. 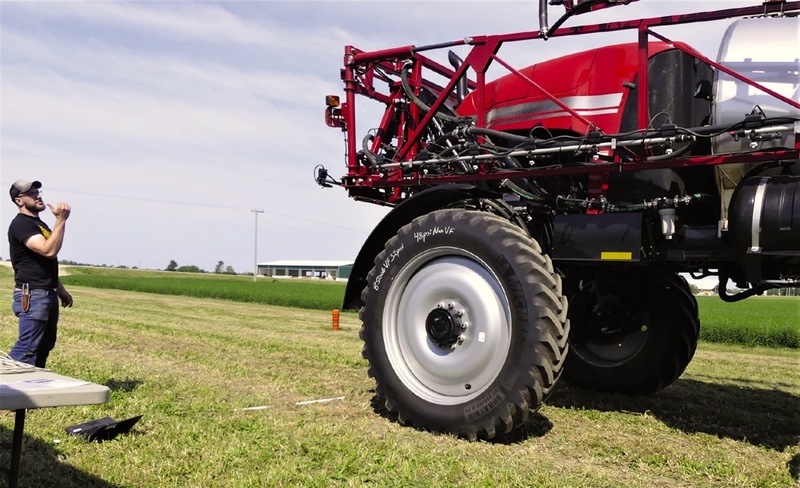 “Right here we’re simulating a big single tire with high pressure and low pressure,” he said, while standing beside a high-horsepower tractor used to drive over an in-ground sensor during a demonstration. 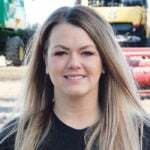 Barrie’s group wants farmers to be aware that minimizing compaction goes beyond just choosing the largest tire. “On average we use 15 p.s.i. 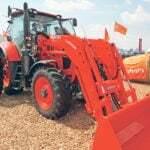 for most soils as the threshold for causing compaction,” he said. 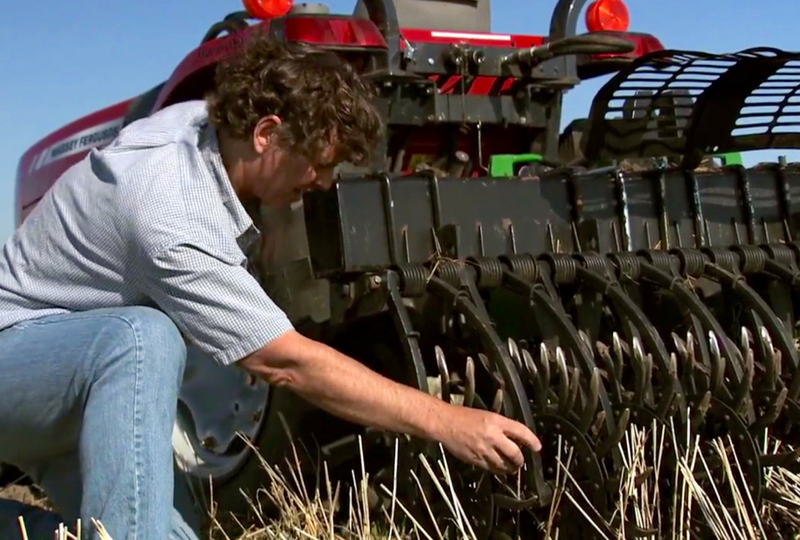 “But some soils if they’re dry might be a little stronger, and some soils, if they’re wet, might be a little weaker. So 15 is the number for average soil, and that came from some European research. 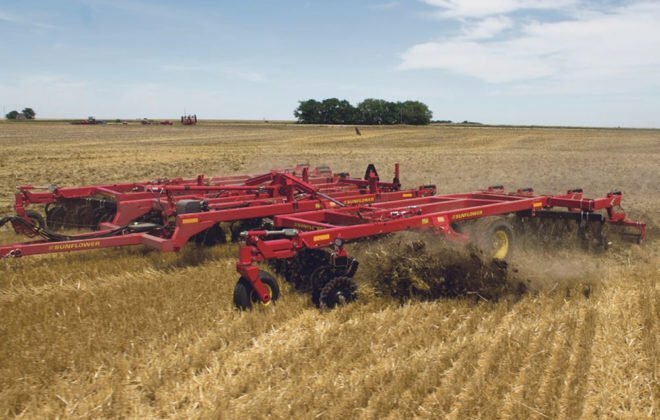 If we run enough of these events we’ll have a good database on a variety of tire sizes and pressures in a variety of soil conditions. 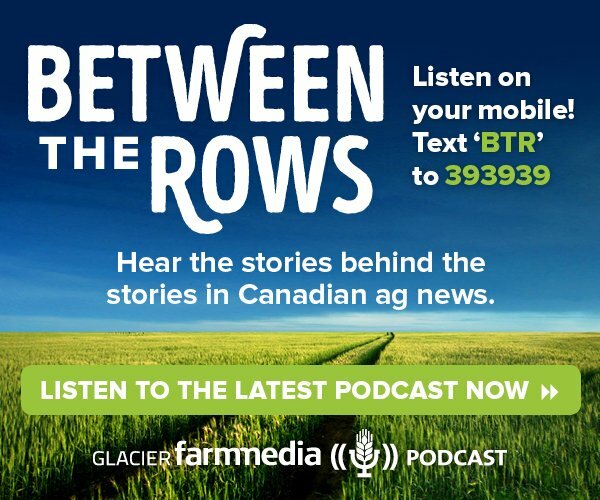 But even after weighing a machine, Barrie said producers need to understand the effect of the work they’re doing in the field on each machine. 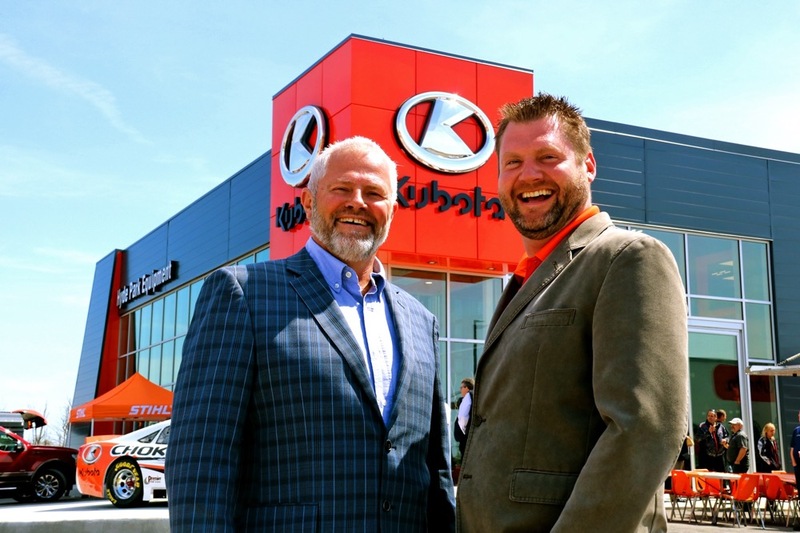 Auto-inflation systems can provide benefits, Barrie noted. 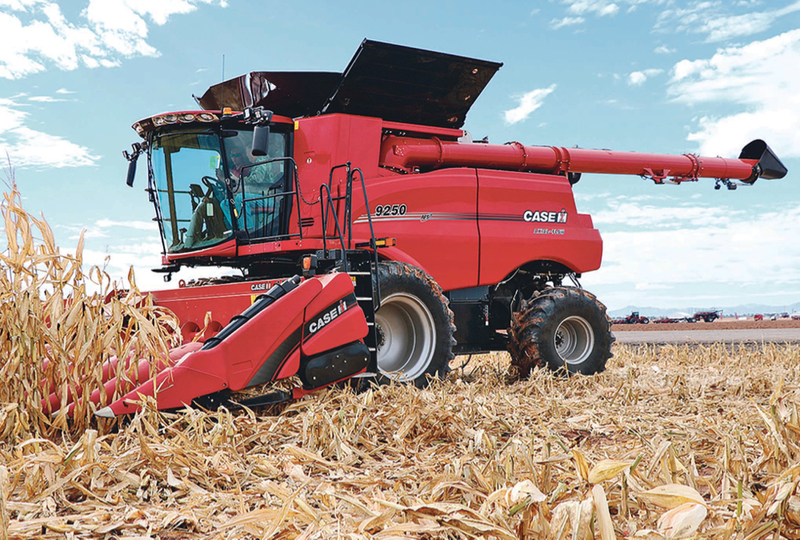 But producers who don’t want — or can’t afford — the investment in a system like that can still take some steps to minimize the problem. 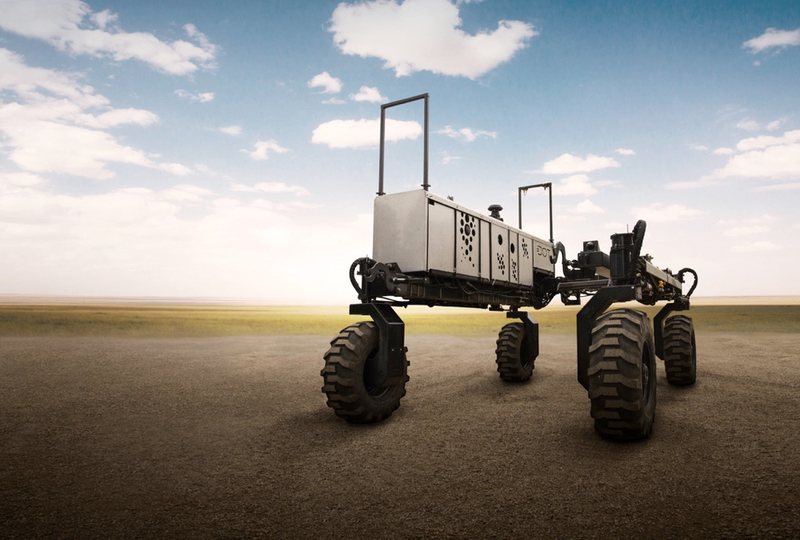 The team’s research is finding soil compaction can extend down deep in some soils. 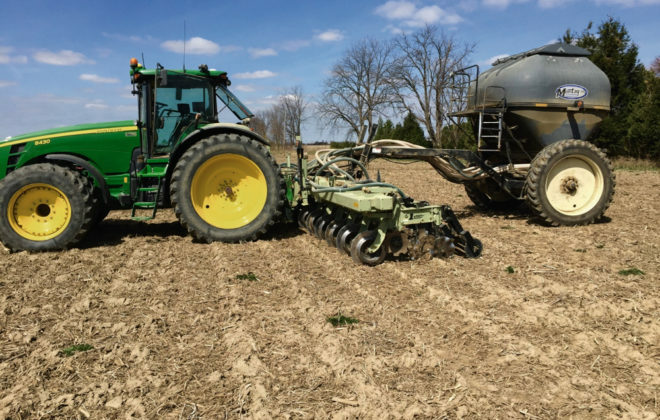 “In a sandy-loam soil we were seeing pressures high enough to cause compaction at 20 inches, that real deep compaction,” he said. The group plans to continue its research until it has a large enough database to publish some inflation pressure guidelines and conclusions.